In order to serve the universe and maximize our potential as individuals collectively, Shrii P. R. Sarkar mentions these three essential factors which are needed to bring out the required attitude of universal love; Adherence to regular yogic practices, sincere effort to serve society and the application of natural therapy. While the first two factors, namely yoga and service, will seem obvious to many readers, the third factor of natural therapy might sound out of place to some. Why is natural therapy needed then, aren’t the first two enough? In order to be able to do yoga as a lifestyle and help others as a habit, there is one essential requirement: good health. By this is meant holistic health and not merely being fit physically — to develop such an all-round healthful being, natural therapy in the yogic sense is needed. Say you are a devoted practitioner of yoga and additionally you also fulfill your duty in serving humanity to your capacity. Many people do this and yet they may encounter a lot of problems in life due to forgetting about the essential need for natural therapy. 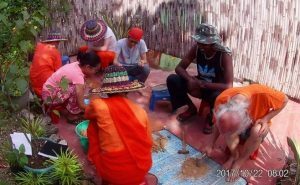 Fortunately there is a global network of yoga wellness programs established by Ananda Marga which focuses on teaching and applying natural therapy with centers in USA, Maharlika (Philippines), Taiwan and India. 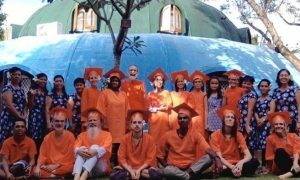 I was lucky to receive training and treatment in two of these centers, spending four weeks in the Ananda Marga Yoga Wellness Centre in Cebu, Maharlika and two weeks in the Ananda Nagar Naturopathic & Yogic Treatment Centre in India. I would like to share the experiences I’ve had over the course of these past weeks with all of you. In Sanskrit my name means “sun” but in the weeks preceding my travel to Cebu I hadn’t been feeling too warm or radiant. In fact I had been struggling with my mental and physical health for many years which was one of the main motivations for attending the training besides the desire to learn. Nevertheless I felt strong hope and believed in my capacity to overcome my struggle in the long run. ”I can do this, I’m ready to change my life for the better!” I thought amidst many doubts and anxieties about the future. On my arrival I was fetched from the airport by two upbeat and chatty local staff members — a pleasant start to the program. Eventually one of them threw into our conversation, “I am sure you’ll enjoy the coming weeks and learn many new things – but the most amazing thing about our centre is the delicious sentient food!” By the time we arrived at the center it was already almost time to sleep and I went to bed with a good feeling in my gut about the upcoming weeks. Over the next few days I was introduced to the rest of the staff as well as other students participating in the training. 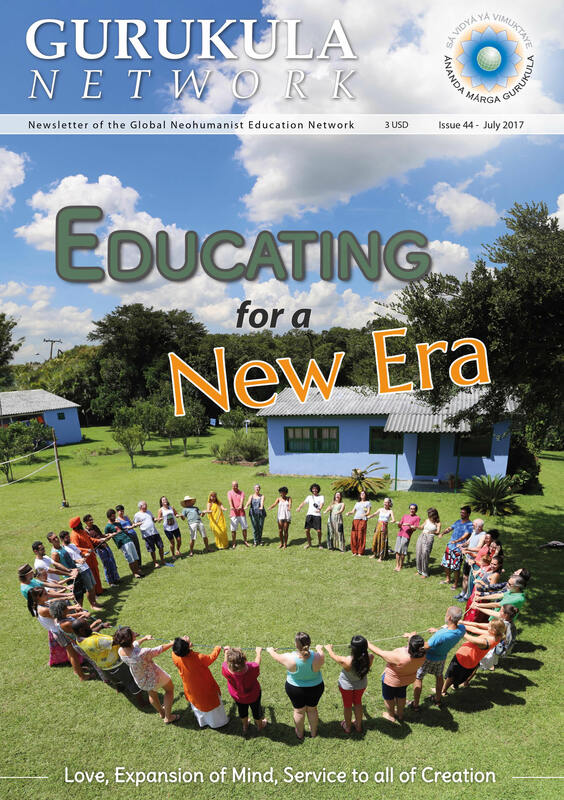 The yogic principle of unity in diversity was well expressed in the great differences between the students’ ages, origins and motivations to take part in the training. Among the 12 trainees, I was the youngest at 23 years of age, with others there of all age groups, including one American man who was in his seventies. All continents and sectors were represented, too, with trainees from Croatia, Sweden, Italy, China, Russia, Singapore, Australia, Texas, Malaysia and even South Africa. Our daily schedule was quite full with activities including a minimum of three times kiirtan and meditation each day, which served as a panacea for any mental ailments and stress. 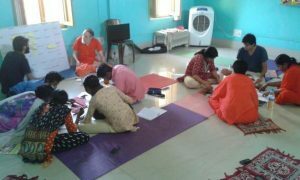 Daily yoga and asanas classes were offered by a changing roster of teachers providing an interesting and varied approach to the postures and stretches. Most of the attending trainees had some experience in yoga, especially the acharyas completing the training, and so their skill was shared to the benefit of all trainees. Twice each day we would also have personalized natural treatments drawn from a varied pool of options in accordance with our own condition and needs. They ranged from hydrotherapy using mainly water such as Hipbath, Steambath, Spinal Compress, Hot Footbath and Colema to treatments involving other elements such as Mudbath and Sunbath. Most of the treatments were at the same time very effective and also extremely easy to prepare and perform. This approach was inspired by one of the main principles of Ananda Marga Yoga Wellness, which is to make sure that once people leave the center they are still able to easily maintain the healthy lifestyle and naturopathic treatments used in the centre. As Dada Dharmavedananda, our main teacher and guide at the training, reminded us regularly: “Unlike many other naturopathy centres, we do not aim at our visitors coming back often. Our main goal isn’t making a lot of money but rather creating better, healthier individuals who can easily maintain the lifestyle they learned here at home.” In this vein most days a cooking class was also given, teaching us how to prepare a selection of sentient vegetarian meals as well as probiotics and other health foods. In fact the many people visiting the centre aren’t called patients even if they arrive with a chronic and serious illness, rather for the staff and trainers they are students who learn about the healing process while simultaneously experiencing it. So while I, like some of the other trainees, came to the centre mainly to improve my health, I also learned extensively about how to self-sufficiently better my life and health as well as the life and health of others by following a simple but proven system of yoga and naturopathy. Especially the daily classes delivered by Dada Dharmavedananda, based on his knowledge of medical facts, yogic naturopathy and vast personal experience, were very helpful in creating a solid foundation to support further learning by the students. While his classes focused more on theory and terminology, more practically oriented classes were also given by the chief medical in-charge, Chintamani who, with the help of the staff, showed us the ropes with the preparation and execution of all the different treatments used at the centre. Initially I had my doubts about the emphasis on long fasting as a means for detoxing, but after some days I started to really enjoy it and thanks to the system of graduated fasting it was very easy to do; I even ended up liquid fasting on juices and broth for twice as long as suggested. The graduated approach means that step by step, the food items are changed and reduced to prepare for the detox in relation to each student’s necessity and personal preference. Thanks to the tasty variety of vegetarian dishes, salads, soups, juices and fresh fruit available every day the gradual fasting experience was delightful and didn’t pose problems for any of the trainees. One attendee from Durban, who was also a diabetes case, hadn’t had much previous experience with fasting and she was especially inspired by the way it was done at the centre. On one of the last days of the training she approached me and announced with excitement: “During fasting my blood sugar readings dropped from BET 11 to 6.8! My stamina is much better, I lost significant weight and I feel so healthy!” In a similar fashion all trainees experienced some degree of transformation during the training and came out the other end more knowledgeable, healthier and well-rounded students of naturopathy and yoga. We all became a lot better, stronger and more experienced physically, mentally as well as spiritually thanks to the holistic and wholesome outlook of the training. The day I was leaving the training for India I felt like I was reborn, my mind body and soul were completely refreshed and I was ready for building upon the grounding knowledge and experience I had acquired in Cebu. “I can’t remember the last time I felt so all-round healthy, it must have been in a past life,” I jokingly thought to myself as I boarded the flight to Delhi in an elevated mood. 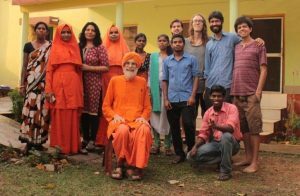 After some time for traveling I eventually arrived in Ananda Nagar and was instantly engulfed by a spiritually charged atmosphere of peace and serenity. The Naturopathy centre is located in the middle of Ananda Nagar and surrounded by a picturesque landscape typical of West Bengal. I instantly felt at home here thanks to the caring staff and especially the always helpful and smiling medical in charge, Nirainjan. For me the schedule here was less filled with activities, which left me a lot of time to put what I had learned previously into practice and also focus intensely on my spiritual practices. Almost daily I would wake up before dawn, enjoy long sadhana sessions at one of the Tantra pittas (i.e. locations immensely conducive to tantric practices such as meditation), swim in the nearby river, have stimulating conversations with local acharyas and drink fresh milk from the local farm. 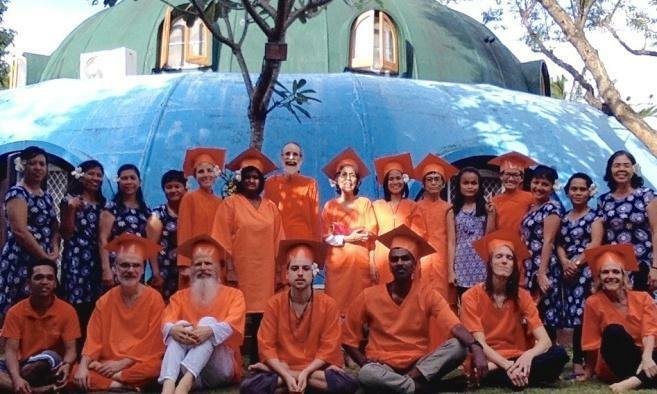 Although the number of trainees here was less, the quality of the classes given by Dada Dharmavedananda didn’t decrease in the slightest and he always made sure that all students understood the contents properly. It felt great to revise and expand on the things I had already grasped fully while also learning many new things and remembering important teachings I had come to forget. For those trainees who were in Ananda Nagar before I arrived, I heard the classes they got from Nirainjan had also been excellent.